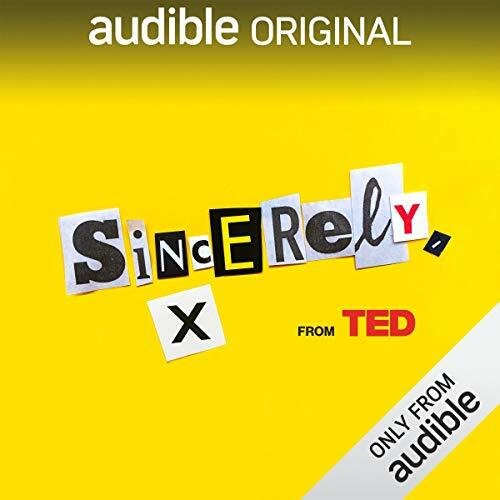 When you add Sincerely, X to your library you will receive all 10 episodes, each with a runtime of approximately 25 minutes. Once I got around to trying this series, I just ripped through it. All the stories are inspiring and alter my perspective and opinions. In fact because of one person's story on her panic attack in a optical shop, I jumped on an opportunity to be trained in mental health first aide when the chance arose unexpectedly. I learned so much by listening to the stories of these anonymous people. I really hope that Ted will continue to reach out to people like them and help share their stories though platforms such as this. Really enjoyed the listen, hoping for a 2nd edition. There is a minimum of 15 words required. Honest stories from real people, an enjoyable series. Add an experienced narrator and you get a great listen. Haven’t Listened this kind of books on my past. Gives always a relax full moments whenever I try to hear this book. Can’t stop with onetime listen. I have had good time pass hearing this book. Has debatable twist and turns in here.